On Freddie Roach HD Blu-Ray. 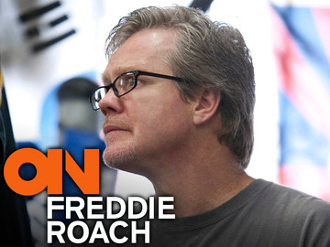 A look into the life of a world class trainer Freddie Roach. Watch as he gets Amir Khan & Manny Pacquiao ready for upcoming fights. Also, training the USA Olympic team all while battling the effects of Parkinson's disease. Blu-Ray Includes: All 6 Episodes. Full Season. Duration: Aprox. 25-30 minutes per episode.